A truly striking photo of Gooseberry Falls State Park along Minnesota's north shore of Lake Superior. I love how this photo captures the towering rock face covered in varying thicknesses of ice. 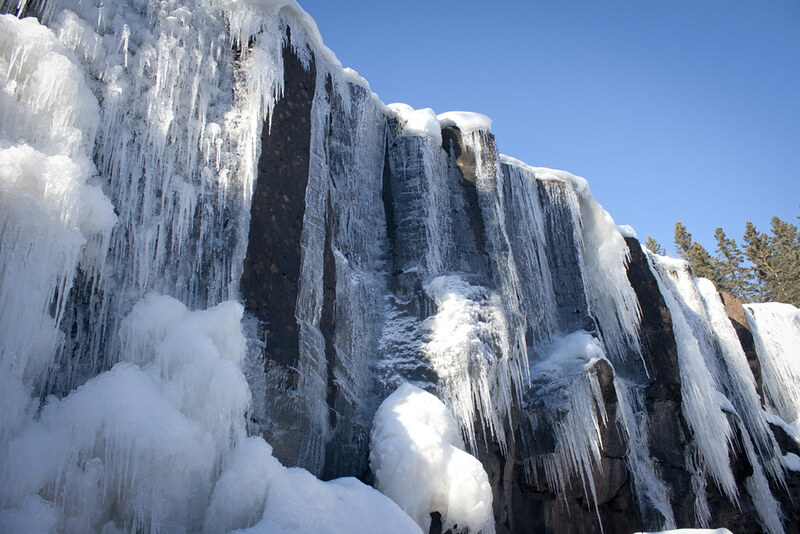 It looks like Gooseberry Falls State Park is experiencing something close to winter.